One of the most vigorous plants at the Garden this fall is growing not in one of the display beds but in a compost heap. The lush, fruit- and flower-laden vine is an Italian heirloom squash (Cucurbita moscata 'Zucchino Rampicante'), apparently a survivor of discarded seedlings tossed in the compost during the summer. 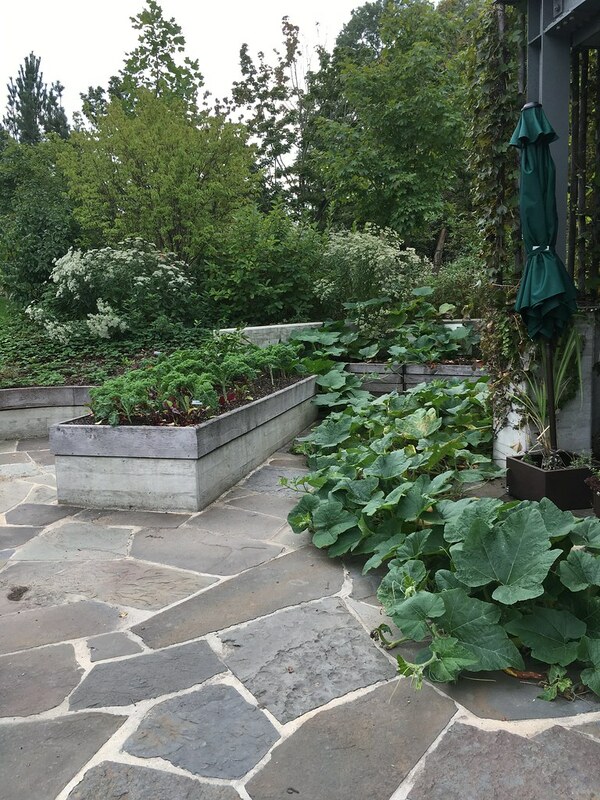 Discovery Garden staff had planted the squash seed this spring, and when several of the seedlings failed to thrive, assistant coordinator Hester Griffin composted them in July. Within a few weeks, an impressive vine had emerged. The staff decided to let it grow, and now this extremely vigorous, productive vine is close to 20 feet long. Its large, slender fruits grow into lovely twisted or curved shapes. This cultivar is unusual in that it can be harvested while green and prepared like summer squash or left to ripen further and used more like a yellow winter squash. Enjoy the photos and be sure to visit the vine in the Discovery Garden this fall! This story of the squash is fitting. It was discovered as part of the Discovery Garden’s Early Opening Program for Children of All Abilities. 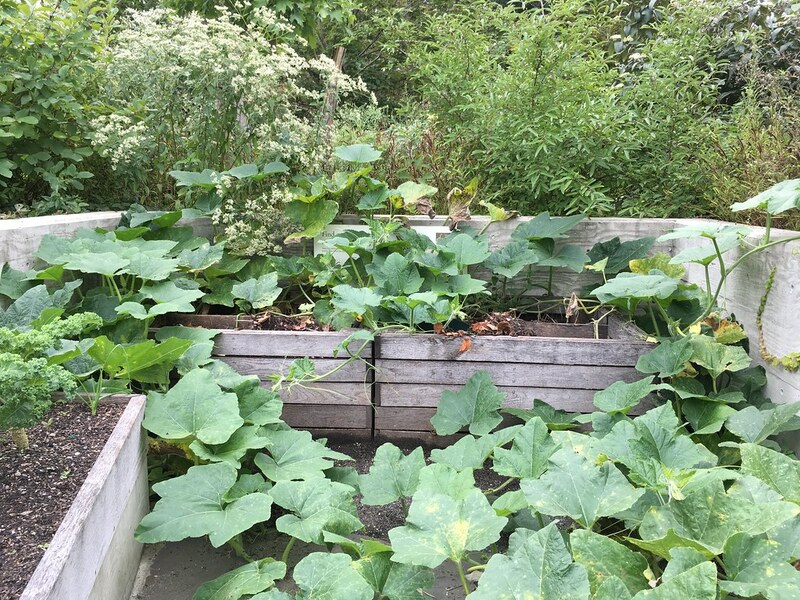 The seeds were first discarded in the compost bin thinking that they wouldn’t produce, but here in the Discovery Garden, everything is allowed to thrive and grow with tender loving care. 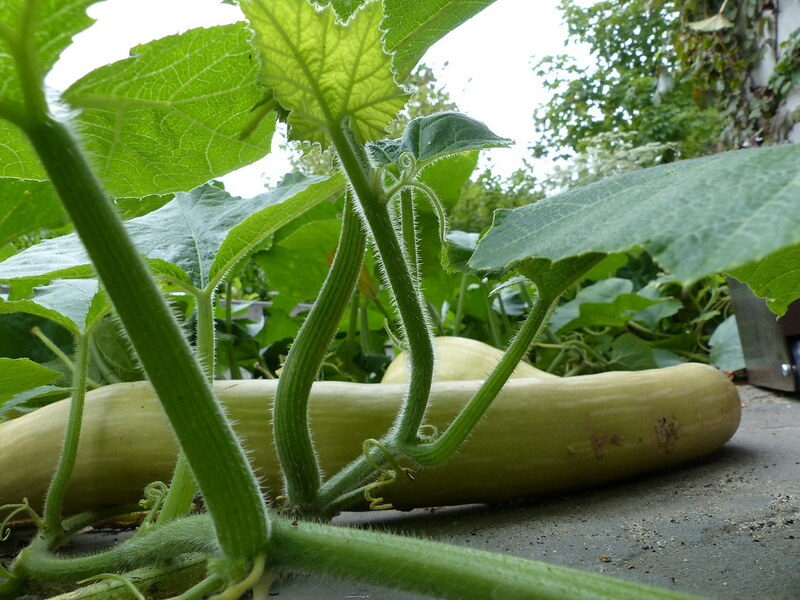 This squash vine started in the compost heap and has would it's way around the Discovery Garden. Photo by Sarah Schmidt. 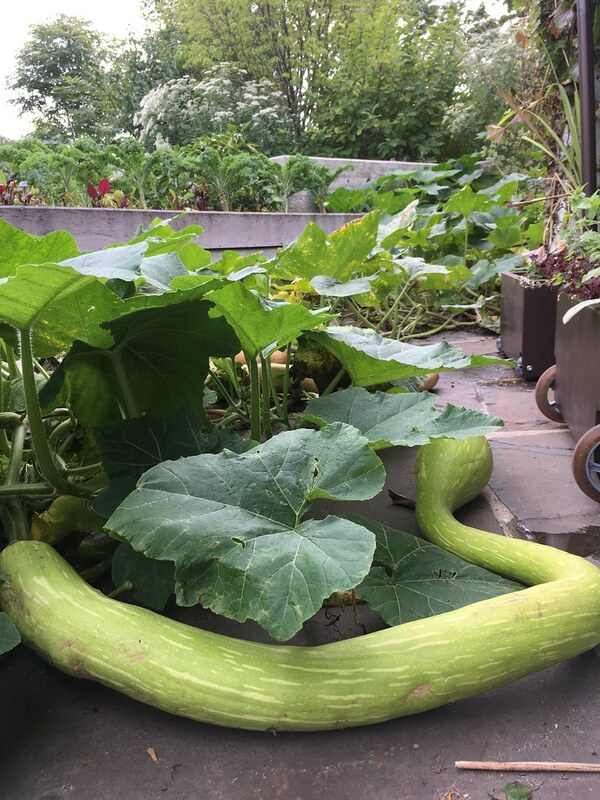 The curvy, twisted fruits of Cucurbita moschata 'Zucchino Rampicante' can be used like a summer squash when harvested while green or allowed to mature further until they are light orange and used like a winter squash. Photo by Sarah Schmidt.